Sensei Miller is a 4th Degree Black Belt in Dragon Kenpo Karate. He refers to his methodology of teaching and training as "Common Sense Martial Arts." His instructional manual is for sale by contacting him at senseimiller@comcast.net. Full instructions on purchasing the instructional manual and how to be promoted in rank will be emailed to interested students. A dvd containing Sensei Miller's training will be available soon. All students interested in training will have email support from Sensei Miller. Private instruction or email supported instruction only. My instructional manual is available for purchase by contacting me at senseimiller@comcast.net. Email support is available for anyone purchasing my manual. Would you like more information on hours, classes and programs available at Rich Miller, Sr.'s Dragon Kenpo Karate? Please contact the school with your questions. Update the details, Write a Review or Report Error of Rich Miller, Sr.'s Dragon Kenpo Karate. View all Dojo in Mays Landing or in Zip code 08330. This Chart shows the Martial Arts Styles offered most in Mays Landing, New Jersey area. 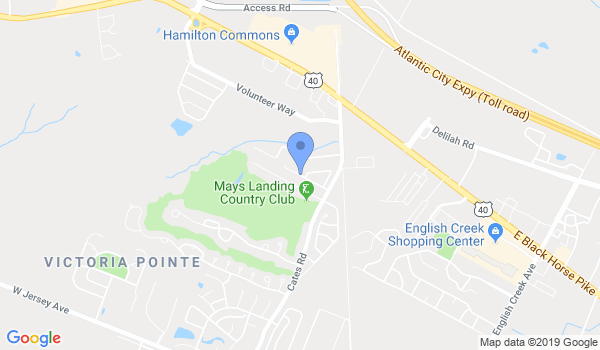 View a list of Dojo in Mays Landing, or enter your address below to find schools closest to you.